YES, IT’S TRUE: the iPhone 7 has killed the 3.5mm headphone jack. Sort of, Apple has certainly made a lot of fuss about its wireless AirPods and Lightning-powered EarPods headphones, but the truth of the matter is that you can still use your old 3.5mm headphones as long as you don’t mind using the bundled 3.5mm-to-Lightning adaptor. It’s not exactly the most elegant solution for a company that’s often prided itself on simplicity and ease of use, but at least it means you don’t have to fork out even more money just to carry on listening to your favorite tunes. 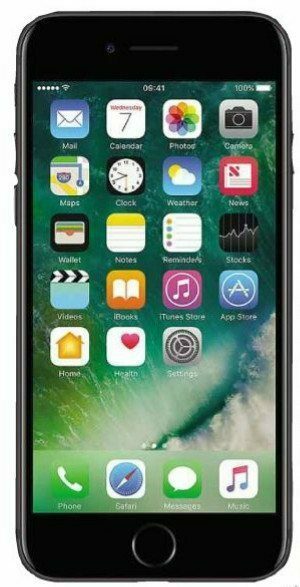 For the iPhone 7 is the first iPhone in ages to have received a significant price hike, rising for the entry-level 32GB version from its usual spot. In a way, it’s a small price to pay for double the storage, as Apple has finally listened to reason and ditched 16GB as the entry-level option. 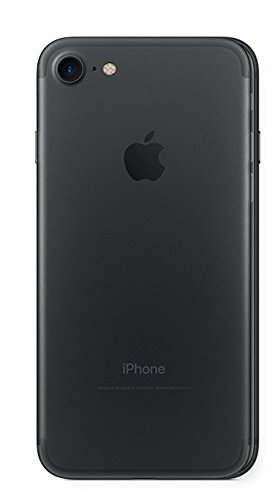 The other storage options have doubled in size as well, and if you grab a 128GB or 256GB model you also get the option to buy the iPhone 7 in its extra shiny jet Black finish – which, sadly, isn’t available in 32GB. It is also perhaps something of a shame that there’s no 64GB option to provide some sort of middle ground, but overall this is definitely a step in the right direction. The aforementioned Jet Black version, however, takes several strides backwards. It’s now more prone to picking up mucky fingerprints than its matt siblings, and it’s also considerably more slippery to hold. Even Apple has warned that this model is more likely to pick up scuffs and scratches than the plain black, silver, gold and rose gold options, advising buyers to invest in a case to keep it in pristine condition – which rather defeats the point of buying one with a flashy back in the first place. The newly redesigned home button also takes some getting used to. This time around, Apple has replaced the mechanical aspect of the iPhone 7’s home button with a similar kind of Force Touch technology found in its MacBook and MacBook Pro products. Rather than pressing inwards with a standard click, the button now simply vibrates whenever you apply any pressure, giving you enough feedback to let you know you’ve pressed it properly without moving anything inside the phone. This should hopefully make it less likely to break and fail after prolonged use, but given Apple’s heavy reliance on using the home button to navigate its iOS operating system, we didn’t find it quite as easy or as intuitive to use as the old click buttons. A more welcome addition is the iPhone 7’s improved water and dust protection. Its IP67 rating means you can now drop the phone in up to a meter of water for up to 30 minutes without damaging its internals. One thing that hasn’t changed is the screen size and resolution. Just like the iPhone 6 and iPhone 6s before it, the iPhone 7 has a 4.7in display with a 1,334×750 resolution. That doesn’t necessarily mean there are no improvements at hand, however. The iPhone 7 now has a wide color gamut display, which allows it to reproduce brighter, more intense shades of color. And as an extra bonus, its panel is now a claimed 25% brighter than the display on the iPhone 6s. When we compared both phones side by side at maximum brightness, the difference was plain to see. Colors on the iPhone 7 looked much richer and punchier, and blacks were noticeably darker. However, we had a hard time replicating Apple’s quoted brightness figure of 625cd/m2, as we couldn’t coax our color calibrator any higher than 540cd/m2, which is actually lower than the 580cd/m2 we managed on the iPhone 6s. That’s still more than enough to see the screen clearly outdoors, but it’s not quite as good as we’d hoped. It’s difficult to benchmark the iPhone 7’s display properly, however, as it only uses this wider palette of colors in applications that specifically support it Since all our display tests are run in an Opera browser window -Safari doesn’t play ball with our testing software – the iPhone 7 automatically defaults to the standard, or narrow, sRGB color gamut. This is, quite sensibly, so that images on the web don’t end up looking overblown and unnatural. Even in this scenario, though, the iPhone 7 is supremely accurate. It reproduced 95.8% of the sRGB color gamut, which isn’t quite as high a figure as the best Android handsets, but the quality of those colors means that it is more accurate than most – going by Displaycal’s measurement report, the display isn’t far off what we’d expect from a professional desktop monitor. Samsung’s Galaxy S7 and S7 Edge still nudge slightly ahead overall, but this is still a step up for Apple. However, the iPhone 7’s camera isn’t as immediately impressive as its improved specs might suggest. While its 12-megapixel sensor has been upgraded since the iPhone 6s – introducing optical image stabilization, a brighter f/1.8 aperture that lets 50% more light into the new, six-element lens, plus a quad-LED flash – initial test shots didn’t amaze us. Outdoors, the iPhone 7 produced brighter colors and better contrast shots than the iPhone 6s, but indoors, shadowed areas looked extremely blotchy, and some edges looked much more jagged than they did in photos taken with the 6s. Some iPhone 7 shots looked sharper, crisper and richer, with less noise, but generally the improvements are pretty minimal. Where you’re more likely to notice a difference is the iPhone 7’s day to day performance Powered by Apple’s new quad-core A10 Fusion chip, the iPhone 7 is noticeably quicker than its predecessor. It scythes through iOS 10 far more smoothly, and the speed boost is particularly noticeable In the way that it springs back to the home screen. It showed in our benchmark results as well, as the iPhone 7 finished way out in front of the 6s in Geekbench 4. In the single-core test, for instance, the iPhone 7 scored 3,489 (up from 2,493 on the 6s) and it scored a massive 5,652 in the multicore test (up from 4,102 on the 6s). That’s hugely impressive, and just nudges the iPhone 7 in front of the S7 and S7 Edge Graphics performance was excellent, too, as it finished GFX Bench GL’s offscreen Manhattan 3.0 test with an average frame rate of 62.6fps – the highest score we’ve ever seen. For all that raw processing power, the A10 Fusion is also meant to introduce significant energy savings compared to its A9 predecessor, extending the iPhone 7’s battery life by two hours compared to the iPhone 6s. This is thanks to its two ‘high-efficiency’ cores, which allegedly run at a fifth of the power used by the pair of ‘high-power’ cores. This bore out in our battery life tests, too, as the iPhone 7 managed 13h 2m in our video playback benchmark – almost two hours more than the 11h 18m we saw from the iPhone 6s. However, it still can’t beat its biggest Android rivals, as the Galaxy S7 is still miles out in front with its 17h 48m, not to mention the S7 Edge with its 18h 42m. As with every new iPhone launch, the iPhone 7 comes with the latest version of Apple’s mobile operating system, which in this case is iOS 10. It’s a decent rather than spectacular update, but there are a few nice features. The new lockscreen, for starters, now gives each notification its own interactive bubble. Swiping left brings up a list of widgets and a search bar, and it’s now easier to access the camera from the lockscreen, with a simple swipe to the right. You can also delete Apple apps (finally), and Siri has now been opened up to developers, so you should see more Siri support across third-party apps. Mail and Messages have also received small design tweaks, and the iOS Photos app now has facial recognition, making it easier to create dynamic libraries for different people. There’s no denying that the iPhone 7 is a great smartphone, but none of its improvements are quite as impressive as we’d hoped, which makes it feel more like an iterative ‘S’ update than the next big evolutionary leap. What’s more, where the camera and display are concerned, it’s still catching up to its Android rivals. For our money, Samsung’s S7 family are still the flagship smartphones to beat, but the iPhone 7 isn’t too far behind. The only problem is the price; a lot of contracts we’ve seen so far involve quite a significant upfront cost as well as a hefty £50-per-month fee thereafter. The S7, on the other hand, can be picked up for around £34 per month with no upfront cost, providing quite significant savings. However, if your allegiance lies firmly with iOS, then the iPhone 7 is definitely the best iPhone you can buy today. With its increased battery life, superior speed and better-looking display, the iPhone 7 offers a decent bump over the iPhone 6s, and a significant improvement over the now rather elderly iPhone 6. All of which makes it a very satisfying upgrade if your contract is coming to an end. That said, if the new prices are just a little bit too high for you, then we’d recommend buying a new iPhone 6s instead, particularly now that Apple has introduced a 32GB model. Tips, a simple way to transfer files and apps from old iPhone to new iPhone 7 is to use iPhone manager. Huawei Honor 10 Review: Perfect ten?